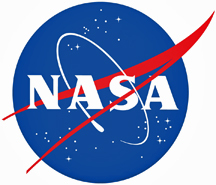 VORAGO Technologies has been awarded a new NASA Small Business Innovation Research (SBIR) Phase II grant by the National Aeronautics and Space Administration (NASA). The project that is now underway is consistent with VORAGO’s technology expertise and is an extension of the successful phase I effort to design a radiation-hardened miniaturized System-In-Package (SIP). The SIP is optimized for size, weight, power consumption and radiation hardness.As spacecraft technology is continually miniaturized to reduce size, weight and power consumption, it is becoming increasingly challenging for designers to implement all of the required system functionality into an progressively smaller form factor. VORAGO is developing SIP technology that integrates multiple radiation-hardened die and are qualifying the SIP for space flight. The SIP implementation is five times smaller than an equivalent circuit that utilizes conventional discrete ICs. Bernd Lienhard, CEO of VORAGO Technologies, said the company is delighted that NASA continues to recognize and support the firm's unique capability in developing innovative technology for space. VORAGO’s HARDSIL® radiation hardening technology and the company's ability to optimize size, weight and power consumption will enable the next-generation of spacecraft.